PIGEON FORGE, Tenn.–(BUSINESS WIRE)–The Dollywood Company’s most anticipated project to date, Dollywood’s DreamMore ResortTM, opens its doors Monday, July 27, creating a new chapter in the famed company’s 30-year history. The spectacular guest arrival experience includes an impressive fountain inspired by Parton’s Dream More book and a stately porte-cochère that offers a hint of the beauty visitors find inside. Families then are greeted by the resort doorman who is ready to entertain and delight the property’s newest guests. Upon entering the magnificent lobby, guests are welcomed with an unparalleled view of the Great Smoky Mountains through the resort’s extraordinary three-story-tall picture windows. The ceilings are painted a warm blue that perfectly suits the atmosphere guests of Dollywood’s DreamMore Resort enjoy throughout their stay. For reservations at Dollywood’s DreamMore Resort or to find more information about all of the family-friendly resort amenities, visit Dollywood’s DreamMore Resort or call 1-800-DOLLYWOOD. 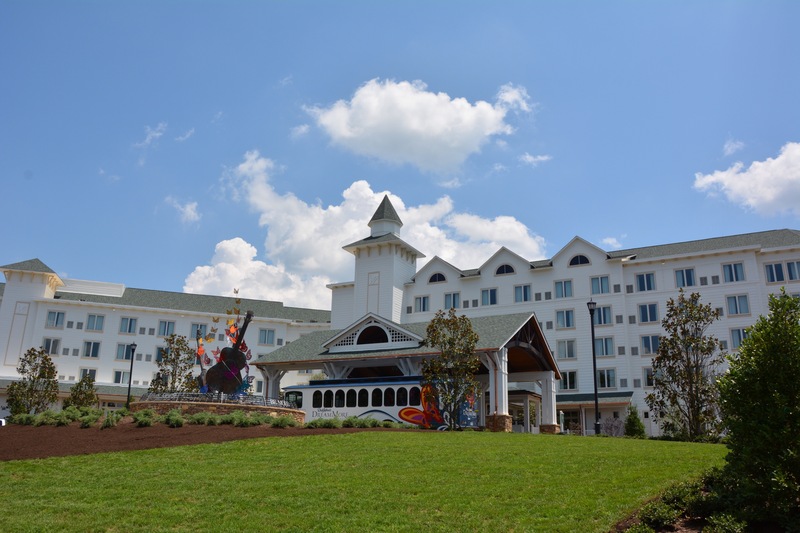 About Dollywood’s DreamMore Resort: Dollywood’s DreamMore Resort is situated on 20 acres adjacent to Dollywood and Dollywood’s Splash Country. With spectacular, unobstructed views of the Great Smoky Mountains, the 300-room resort features a variety of accommodations and a special Dolly Parton Suite. Showcasing design features and décor elements that celebrate the area’s natural beauty, Dollywood’s DreamMore Resort includes an indoor and outdoor resort pool complex, a spa, a family activities center, and a full-service farmhouse-style restaurant. With an emphasis on encouraging family bonding time, the hotel offers exclusive park privileges for Dollywood and Dollywood’s Splash Country allowing guests to enjoy a variety of adventures centered around wholesome fun. A highly awarded and widely recognized leader in the amusement industry, the Dollywood Company consists of the 150-acre Dollywood theme park; the 35-acre Dollywood’s Splash Country; Dollywood’s DreamMore Resort; and Dollywood’s Smoky Mountain Cabins. This entry was posted in News, Press Release and tagged 2015, 27 July, Businesswire, Dolly Parton, Dollywood's DreamMore Resort, Opens, Pigeon Forge, Press Release, Tennessee, USA by dollyfan. Bookmark the permalink.